Unique opportunity for a Portfolio Analyst to join a newly created Portfolio Management function within this highly regarded London Market insurer. Supporting the development of a global portfolio management framework your responsibilities will include data collection, prep, validation, undertaking technical analysis and building templates among other ad-hoc projects for Board as required. To be considered, candidates must have demonstrable experience in analysing and interpreting data to help drive business decisions, with strong programming skills in Excel, VBA and SQL. 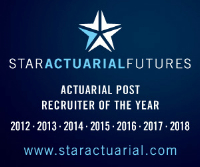 You will have proven experience gained from a quantitative analytical role within financial services however priority will be given to candidates hailing from an Insurance background, particularly if it is Actuarial/allied to. Of particular interest would be those candidates who have decided to discontinue the Actuarial exams.